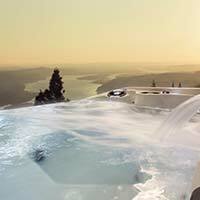 Also known as a vanishing edge, Coast Spas' exclusive Infinity Edge is the single most breathtaking feature you can have in a hot tub. 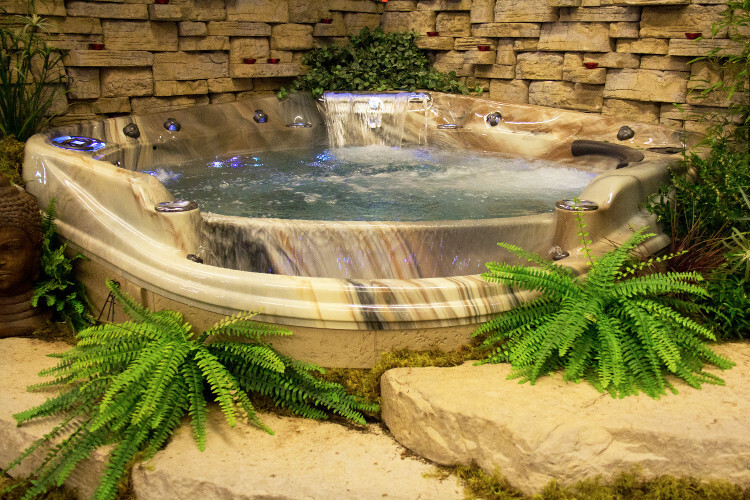 All the water in the spa falls over this edge, creating the largest waterfall you can find any portable hot tub. This isn't only a cosmetic feature, either. Since your water level rests at that edge, the water level in the tub will never rise above the normal fill level - all excess falls over the edge and into the internal water reservoir. The basin underneath the edge also acts as a gigantic skimmer, working with the self-cleaning sweeper jet to ensure debris is filtered out of the main body of water. 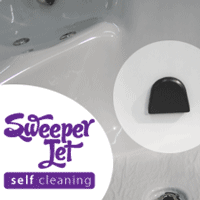 This is a great feature that keeps your spa just that much cleaner. Normally, when you get dirt and debris at the bottom of your spa, it's a pain to clean it; You either purchase an expensive water vacuum to clean it up, or you drain the spa to clean it up - which means you have to refill it and pay high electric bills from it having to heat the water again. Coast's Sweeper jet completely eliminates the need for either method. It's not just convenient; it's automatic and effort-free. 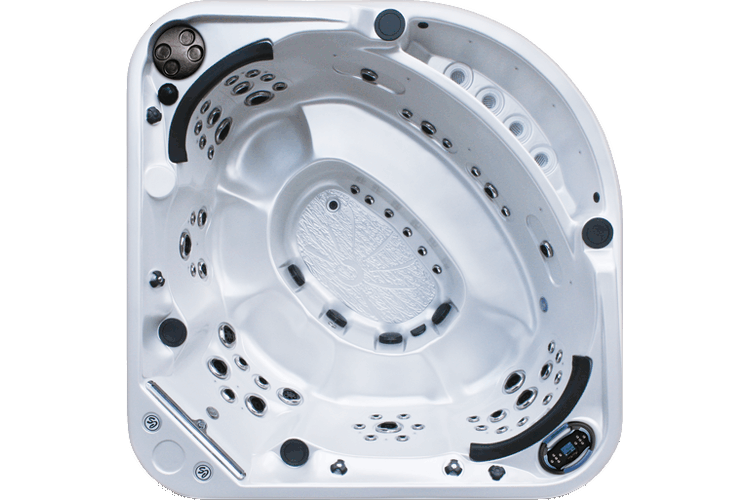 Coast offers the only spa with a filtration system that is approved for the heavy duty scenario of public use. 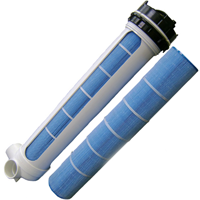 The system consists of a high-quality filtration element contained in a pressurized chamber. This chamber contains and isolates the debris, mold and bacteria colonies from exiting out into the bathing area. Furthermore, it is designed with no bypass valve, so you can rest assured that every single drop of water that goes into that chamber has been properly filtered. Coast really does have the best filtration system in the market. Total Filled Weight 5038 lbs. Website, design, and contents ©2014-2015 Whiteswan Pools and Spas. Images on this site are protected under copyright and license.